Father Eddie Tatro, from Bishop Eddie Tatro’s Study, has been a wonderful friend and fellow blogger. He has been reading all the true stories I have shared through the Life with Foggy Frog and the Pain Gang series and has offered to share his story as the first male story in the series. Below is Eddie’s story in his own words. I had no real physical pain issues in my life until way after university and seminary. However, everyone feels pain on some level, whether it be emotional or physical, however those that are “normal” the pain passes. Those of us who live with Chronic Pain Syndrome and Fibromyalgia deal with it at very high levels and on a daily basis. Pain does change a person, and today my dear Readers I’m going to tell you how it has changed me. First the back story on how I came to have chronic pain/fibromyalgia. It was in February of 2011, I was in for a heart procedure at what was supposed to be a world class hospital. Well instead of checking if I had any type of blood clot prior to surgery they went ahead and did the procedure and I stroked out on the table due to a small blood clot. It was a very minor stroke but a stroke none the less. From that stroke I had very mild paralysis on my left side of my body, which I did eventually overcome through physical therapy. However I developed so much pain from it and still have it; the neurologist who followed me in the hospital came to the conclusion that the stroke did something to the pain receptors and nerves in my brain; and that I would be like this for the rest of my life. Pain has tremendously changed me, and in some ways for the better. Yes I’ve always been a “sensitive” man, but I always chalk that up to my incredibly large heart, but I began to feel things much deeper. I’ve become more of a loving person, and much more affectionate. Yes my body hurts, but since this life changing experience I have wanted to cuddle more, and just be more lovey-dovey even if I do hurt. The bad part of this (can there be one) is I can’t fully explain why and it sometimes pushes people away. Emotional Padre is what one close friend called me after this happened, what can I say; I think it is because I looked death in the eye and was granted new life. Being in pain does limit what I want to do. Intimacy when it did happen (not for my lack of trying but that’s a story for another day) was always wonderful but I would hurt so much afterwards, and still want to cuddle/snuggle. I can’t hold my fountain pen for long and that kills me because I still like to sit down and actually write out a letter in long hand. Doing simple chores can cause me the greatest pain as well, folding my clean laundry will put me in severe pain for hours. There are days when I don’t even want to get out of bed and tend to my duties at church, which is more than just the occasional thing. Still though I manage to fight the demon of pain (some days I lose though) and tend to my precious charges. Even some days I am a grouch because of the pain, yes sweet, kind loving me can be a grouch; and that’s when I need some to gently hold me the most. Dear Readers pain does all sorts of things to people and each one is affected by it differently, be patient with those that are in pain and so some love instead of vile vinegar to them; it will go a long way. That’s how pain changed me in a nutshell, if you have any questions please feel free to ask me. In his own words, Eddie is a man of God who loves all his family and friends, proud of his Italian American heritage. 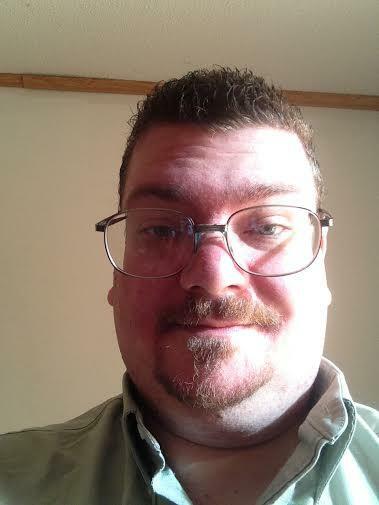 He blogs about a wide variety of topics and is always great at listening when you need someone to talk to. If you haven’t already checked out his blog, please head over now!